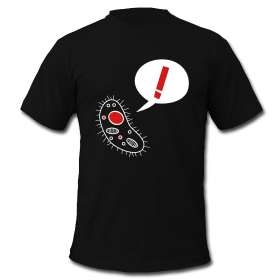 Merchandise « Nothing in Biology Makes Sense! 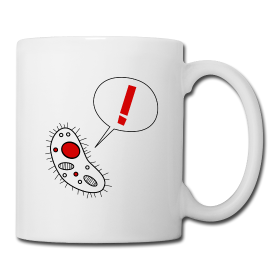 You can choose from black or red shirts, in men’s and women’s sizing, with the dinosaur, microbe, glassware, and DNA helix icons on the front, and all with the slogan on the back; or mugs with either the bacterium or the slogan text. 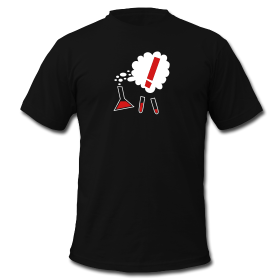 Head on over to custom-printing site Spreadshirt and order a shirt or three. Proceeds will go towards the (small, but nonzero) costs of maintaining this site, so thanks in advance for ordering!